Quick, sit down at the table! First the lovely little dolls will all have a yummy breakfast and then they can start their day. 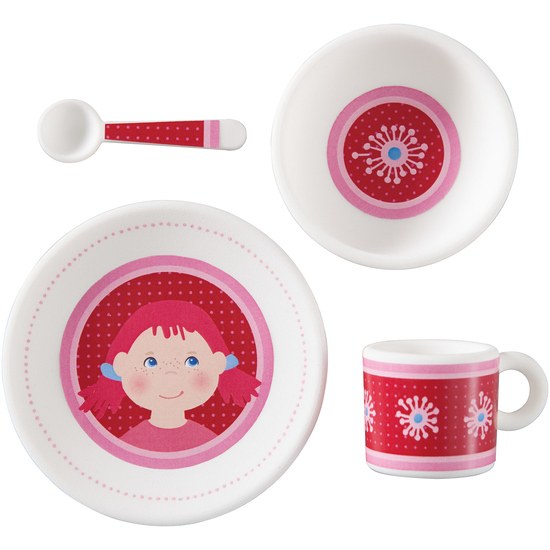 Contents: set of 4 pieces: plate, cup, small bowl and spoon.